Meeks Bay Resort Beach is located on National Forest land and managed by Meeks Bay Resort. 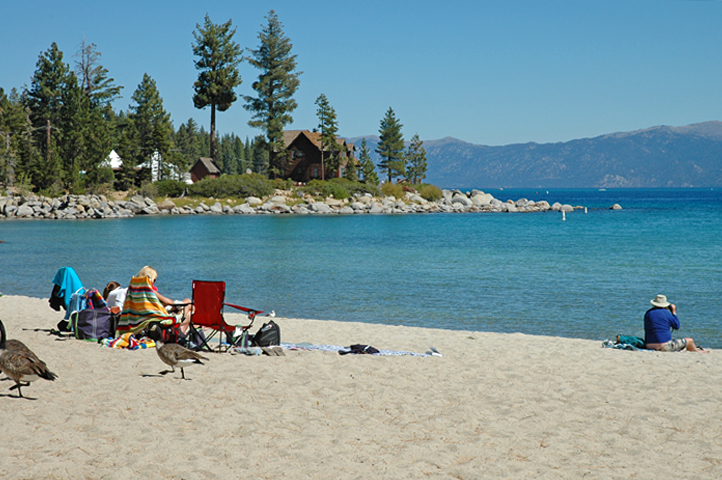 The beach has views of the Kehlet Mansion and Washoe House; off to the south Heavenly Mountain Resort and the casinos are visible; to the east stands Cave Rock. Nearby trailheads include Meeks Bay to Desolation Wilderness. The beach is within walking distance of the historic Kehlet Mansion.